Microsoft announced that the company will support WebVR in Microsoft Edge on Windows 10. WebVR enables users to experience Virtual Reality content from their web browser on a Virtual Reality headset such as the Oculus Rift, Google Cardboard, Samsung Gear VR and others. WebVR support on Microsoft Edge is also useful for the Windows Holographic Shell on Windows 10, that will go live sometime later this year. For those unfamiliar, Microsoft is allowing virtual reality headset owners to use Windows Holographic on their Windows 10 PC — therefore, Microsoft Edge supporting WebVR can turn out to be very useful. Here is a live demo of the WebVR 3d application that you can see in your browser, navigate with your mouse or use it with your VR headset. 2016 has been named “the year of VR”, with so many industry milestones happening across the year. Among the most notable ones, Vive and Oculus started to ship to consumers, Google announced Daydream, Xiaomi and Tencent announced a headset too. The next big release is Playstation VR, due in October. Since headsets have launched, attention has turned to the importance of content too. With game, interactive, and video studios playing catch up on content creation, output has been slower than early adopters had hoped. In addition, the curated and proprietary aspects of VR app stores means it will take a long time before large volumes of content are available there, and for users to fully understand what content is available where and for which headset. Where can I try WebVR? There are many places on the web where WebVR is running. 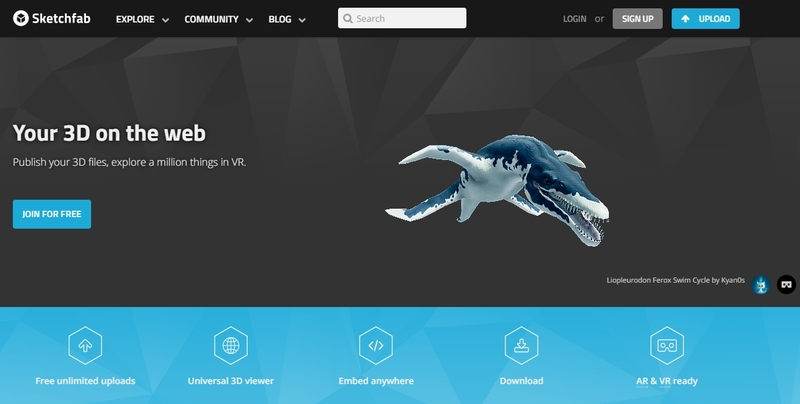 Sketchfab is an excellent starting point where you can explore millions of things in WebVR in your browser. The WebVR API is currently available in Firefox nightly builds with an Oculus Rift enabler installed, in experimental builds of Chrome, or in Samsung Internet for Gear VR. Or, if you want to add WebVR to your mobile site today, you can use the WebVR Polyfill to provide support for Cardboard devices. There is a Chrome extension that allows developers to emulate a VR headset for testing the API when no hardware is available. In this video, you can see a quick overview of A-Frame, Mozilla's new open source WebVR framework that allows you to build WebGL 3D virtual reality elements using simple HTML to run in the browser. Here are the live examples from the video. We are looking forward on seeing more WebVR applications in the near future. Stay tuned.